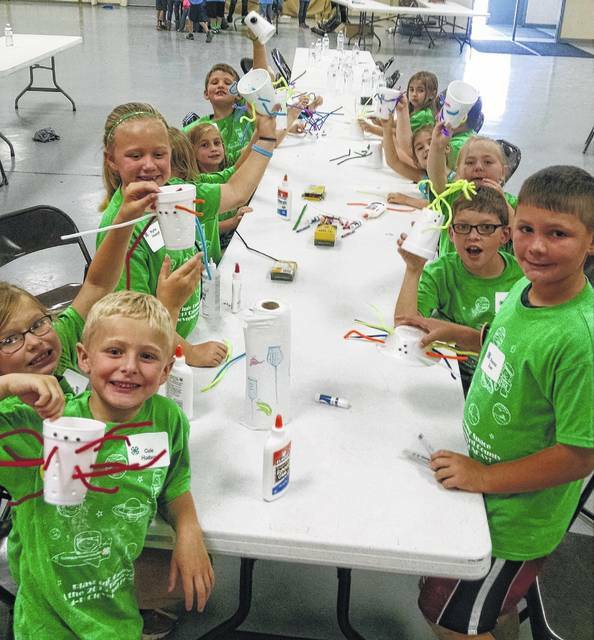 BUCYRUS — Do you know a 4-H youth or volunteer? Ask them about the 4-H program and how it can benefit participants and the community; we are sure you will be impressed by how 4-H has impacted their life and astonished by all that 4-H has to offer. What is 4-H? 4-H is an educational program for youth. Youth in 4-H “learn by doing” as they participate in projects and activities designed to help them develop as individuals and become responsible, productive members of society. The expectations for 4-H membership are a balance between 4-H project work, involvement in the 4-H club, participation in 4-H activities and events, and working towards personal growth. Who is eligible for 4-H? Youth who are five and in kindergarten, as of January 1st of the current year can participate as Cloverbuds. Membership in the traditional 4-H program begins when a child is at least age eight and enrolled in 3rd grade, as of January 1st of the current year. Last year in Crawford County, over 700 local youth participated in 4-H through local clubs, camp, Cloverbuds Funday, and other various 4-H sponsored events. Is 4-H just for farm kids? Absolutely not! With more than 200 projects to choose from, 4-H has something for everyone! Archery, Beekeeping, Electricity, Home Decorating, Money Management, Photography, Scrapbooking, Theater Arts, and Writing are just a few of the many “non-traditional” projects to choose from. How can 4-Hers get more involved? Outside of the club, area youth can get involved with state and county camps, state conference, Cloverbuds Funday and Fall Fest, area contests and clinics, Jr. Fair Board sponsored events during the fair and much more! Did you know Crawford County 4-H even has a scholarship for high school seniors/ college freshman? The Crawford County 4-H scholarship was started in 2008, and over the years over 50 area youth have received this honor. This scholarship fund is taken care of by local volunteers who serve on the committee and raise funds to keep it going. This year, the committee would like to invite you to participate in their first ever “Crawford County 4-H Scholarship Golf Scramble” to be held June 4, at 1:30 p.m. Watch the Facebook page, 4-H Forever in Crawford County, for information on signing up! Don’t like to golf but still want to help 4-H? Members of the Crawford County 4-H Advisory Committee hold several fundraisers throughout the year and team up with the 4-H Food Stand at the fair to help raise funds for Crawford County 4-H youth. All money donated to the Crawford County 4-H Advisory Committee is used for projects directly benefiting our local 4-H program. Past funds have been used for 4-H camp program funding, 4-H camp scholarships, youth and volunteer insurance coverage, newsletter postage, volunteer fingerprinting, and sponsorship of local youth to leadership opportunities such as 4-H Sea Camp, State 4-H Leadership Camp, Ohio 4-H Teen Conference, and 4-H Citizenship Washington Focus. The current fundraising effort, a baked goods sale from Katering Kountry Style, and all future fundraising events will be advertised in the community or can be found on the 4-H Advisory Committee’s Facebook page: 4-H Forever in Crawford County. Where can I get more information on 4-H or to see what’s new in Crawford County? Visit our website www.crawford.osu.edu or check out the countywide Facebook page: Crawford County 4-H.
Allison M. Cooper is the 4-H Youth Development Extension Educator for OSU Extension in Crawford County. For information on 4-H call Allison at 419-562-8731 email her at cooper.2360@osu.edu.